When it comes to food, everyone has their tastes. Savory, sweet, bitter, you name it. And on that spectrum of tastes, people seem to lie far to one side or the other. On my spectrum, I have a propensity to be faaaaaar beyond the sweet end. It’s true, I crave healthy sweet treats – honey in my tea, marmalade on my toast, a bite of organic, dark chocolate here and there, and home-baked sweets constantly, and I’m known to always have some home-baked goods on hand (great for those unexpected visitors). Every breakfast of mine includes something sweet like honey, marmalade, cereal, smoothies. Give me oatmeal and pancakes over eggs any day, unless of course they include a sweet, creamy cheese. I’ve realized that nearly every post on this blog thus far has been something sweet, breakfasty, desserty, snacky. So, for this post, I’m going to give you a bit of my savory side of life…something I create daily for lunches and dinners, but never quite feel the urge to post. A friend inspired me to do so. I know we’re coming into Spring and most people aren’t thinking about soup – frozen life is no longer blanketed in snow, the flowers are beginning to bloom, the sun is showing its face after being in-hiding for 6 months, the birds are singing, and drops of rain may be falling here and there. But I am thinking about soup these days. I love soup any time of year. It is pure comfort food that warms the body and soul. So, I hope you enjoy this soup as much as I do. To make the Basil cream, mix all in a small bowl, let sit, chilling until ready for use. 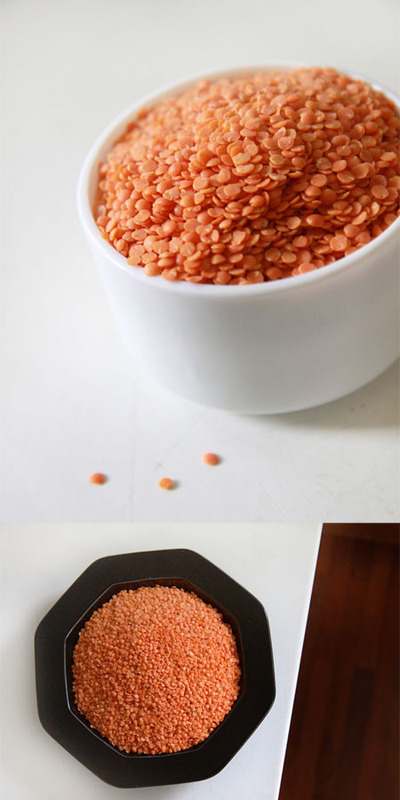 Rinse lentils until water until water is no longer murky. In a large saucepan brings lentils and water to a boil. Add bullion, ginger and carrot and reduce to a simmer, covered for 30-40 minutes. Meanwhile, in separate pan, toast curry powder until fragrant over medium-low heat. Set aside. Add butter to same skillet, add onions and garlic and saute until translucent. Add tomato paste, then toasted curry powder. Mix well. Add yogurt until thoroughly mixed. Add onion mixture to soup. Stir well. Can add more water to your liking (I liked it rather thick). Add salt and pepper to taste. 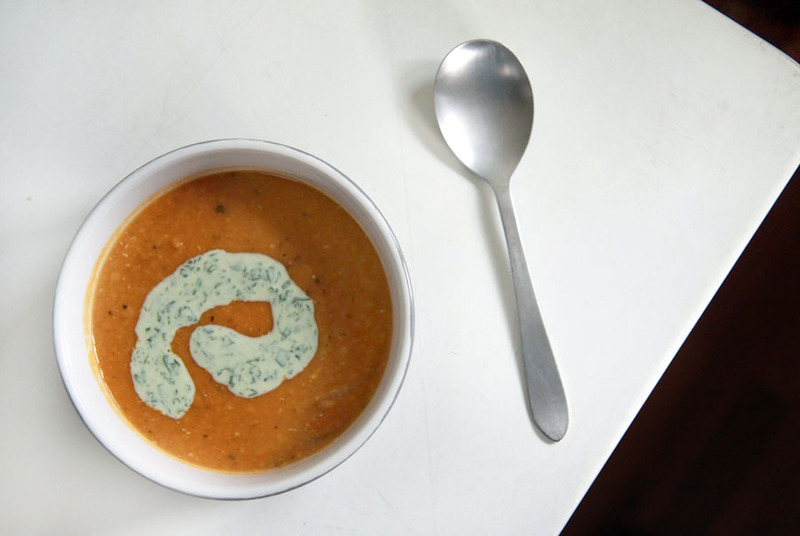 Top with a dollop of basil cream, and enjoy with warm crusty bread.